When I was 17 years old, I was diagnosed with depression. My parents split up around that time and a lot of things changed in my life. I lacked direction, and often felt much like a zombie - just wandering around but with no focus or drive to do things. I began to seek help to cure my depression, but I also began to take up fitness as a hobby. It was this that really boosted my self-esteem and helped me overcome depression. Exercise gave me focus, and the ability to feel a bit more confident about myself and what I was doing. It gave me control too, as I could make my own regime and stick to it. Now I exercise five times a week and have even found time to coach others. Exercise has benefited me in so many ways, and while support from other areas has been important, exercise has really played a big part in turning my life around. 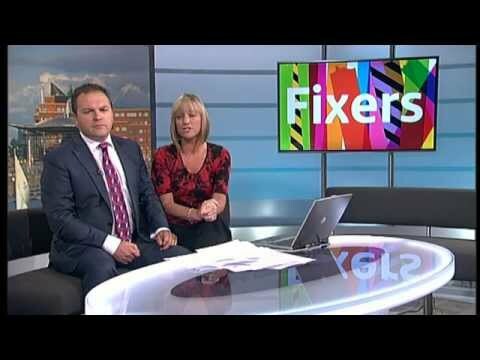 With Fixers, I am making a video presentation which I hope to take around schools in Wales to make young people aware of the benefits of regular exercise - not just on your physical appearance, but on your mental health. David supported my project by assisting with research in my broadcast piece. A track and field club in my area of Wales, who helped by providing information and insight in my broadcast piece.